Almost a year ago, Gabriel Landeskog was made boy king of the Colorado Avalanche, becoming the youngest captain in NHL history at age 19. He dealt with a concussion during the shortened 2013 season, playing 36 games, potting nine goals and recording 17 points, but the franchise obviously sees him as the face and proclaimed that even further on Thursday by announcing a long-term extension. Landeskog, who's entering the final year of his entry-level contract, inked a seven-year, $39 million extension with the Avalanche, according to the Canadian Press' Steve Whyno. This comes a month after Matt Duchene signed a five-year, $30 million extension. Per Chris Johnston of Sportsnet, the contract breaks down like this: Year 1: $4.5M, Year 2: $4.5M, Year 3: $5.5M, Year 4: $6M, Year 5: $6M, Year 6: $6M, Year 7: $6.5M. That's three years of unrestricted free agency bought during a time when the NHL's salary cap will likely be the highest its ever been, as long as revenues continue to grow. "Gabe is and will continue to be a large part of the foundation of this hockey team for many years to come," said Avalanche Executive Vice President of Hockey Operations Joe Sakic. “Signing our captain to a long-term extension demonstrates the commitment of Stan and Josh Kroenke to this franchise and to our fan base. In just two seasons, Gabe has already proven to be a great asset to our organization both on and off the ice. The fact that he has agreed to a long-term deal shows that he believes in this team, his teammates and the direction of this franchise moving forward." That's two pieces of the Avs' core locked up for Greg Sherman Joe Sakic. Next will come the decision by Sherman Sakic on what to do about Paul Stastny, who's an unrestricted free agent next summer, as well as Ryan O'Reilly, who will be an RFA after this season. 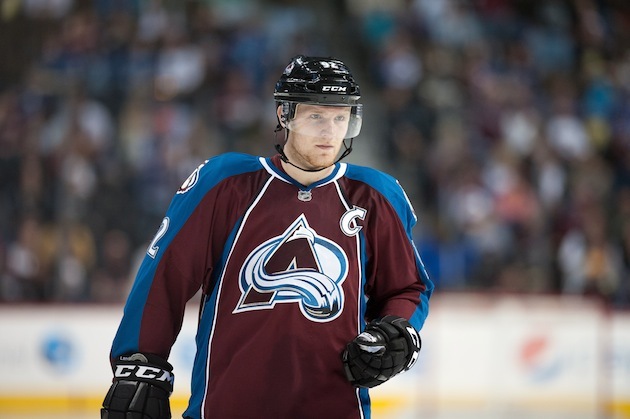 Offensively, things are coming together for the future for the Avalanche. At some point, they'll have to address their glaring defensive issues.